In a comical display of meta-censorship several copyright holders including 20th Century Fox and NBC Universal have sent Google takedown requests asking the search engine to take down links to takedown request they themselves sent. Google refused to comply with the movie studios requests and the "infringing" DMCA notices remain online. Meanwhile, the number of takedown notices received by Google is nearing 20 million per month. 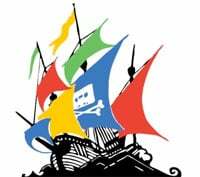 With more than 100 million links to pirated files Google is steadily building the largest database of copyrighted material. This is rather ironic as it would only take one skilled coder to index the URLs from the DMCA notices in order to create one of the largest pirate search engines available. Indeed, the DMCA notices are meant to make content harder to find on the Internet, but in the process they create a semi-organized index of links to infringing material. This problem is illustrated by several takedown requests that were sent on behalf of movie studio 20th Century Fox recently. Usually these notices ask Google to remove links to pirate sites, but Fox also wants Google to remove the DMCA notices they sent earlier. Below is an example, with Fox stating that this DMCA takedown request is “infringing” itself. The movie studio is not the only copyright holder going after their own takedown notices. Other Hollywood studios including NBC Universal and Lionsgate have done the same, and Microsoft too. We expect that the notices are just another byproduct of the automated tools that are used to find infringing URLs. However, it’s a “mistake” that signals one of the key problems of automated censorship, and one that can lead to an endless loop of DMCA notices. Thus far the infringing takedown notices remain accessible through Google search. Apparently Google has white-listed the Chillingeffects domain because it doesn’t see these indirect links as infringing. While this may seem logical, Google is no stranger to removing non-direct links to links. If we take a look at the text pasting service Pastebin we see that Google removed 82,937 URLs from its index. These indirect links are all non-clickable and no different from the DMCA notices. The standards are shifting in other ways too. No longer is Google merely asked to remove direct links to copyrighted material as the DMCA prescribes, but also links to links to links to copyrighted material. The above shows the growing mess the current DMCA procedures are creating and for now there is no end in sight. Both Google and the copyright holders agree that something has to change, but understandably the solution they envision is quite different. In the meantime, copyright holders continue to push the search engine to its takedown limits at a rate of 20 million URLs a month.